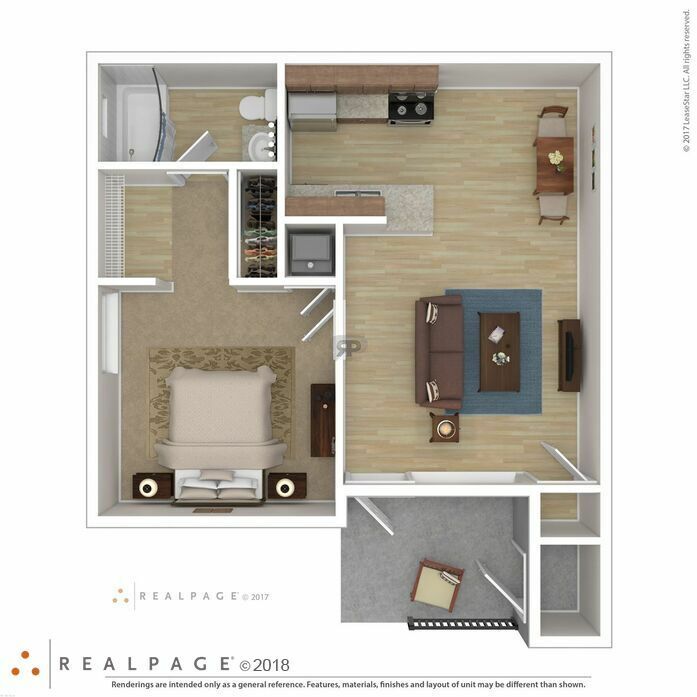 It might be pint size but it has everything you need! 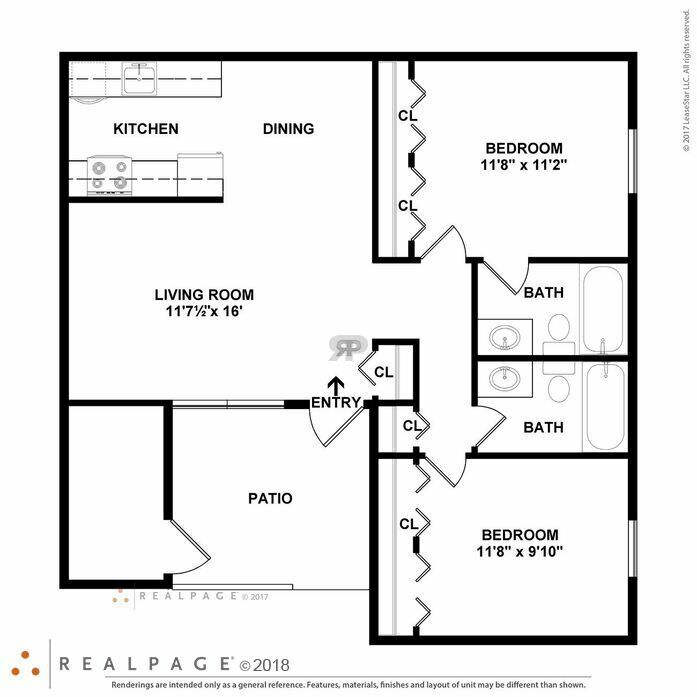 A full size bedroom, efficiency kitchen, storage, and a large picture window overlooking the patio. 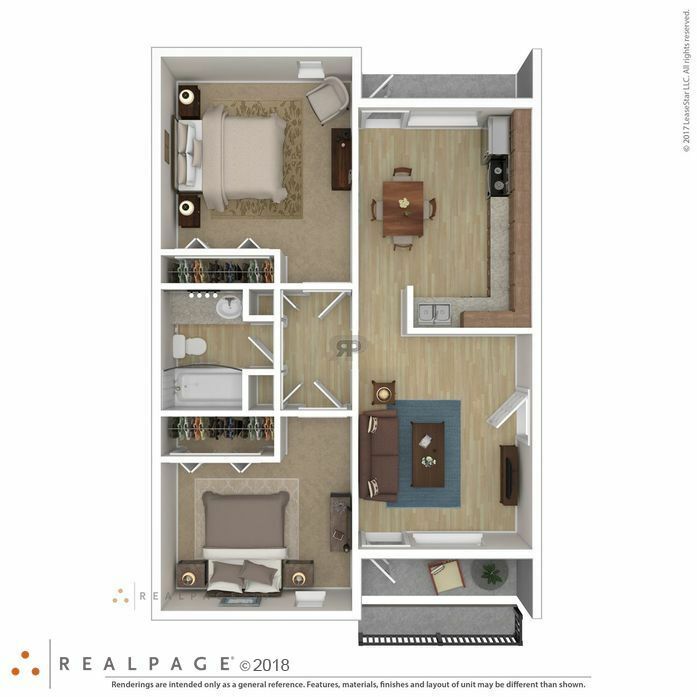 This one bedroom features closets and more closets, windows at both ends for a wonderful cross breeze and lots of natural sunlight. 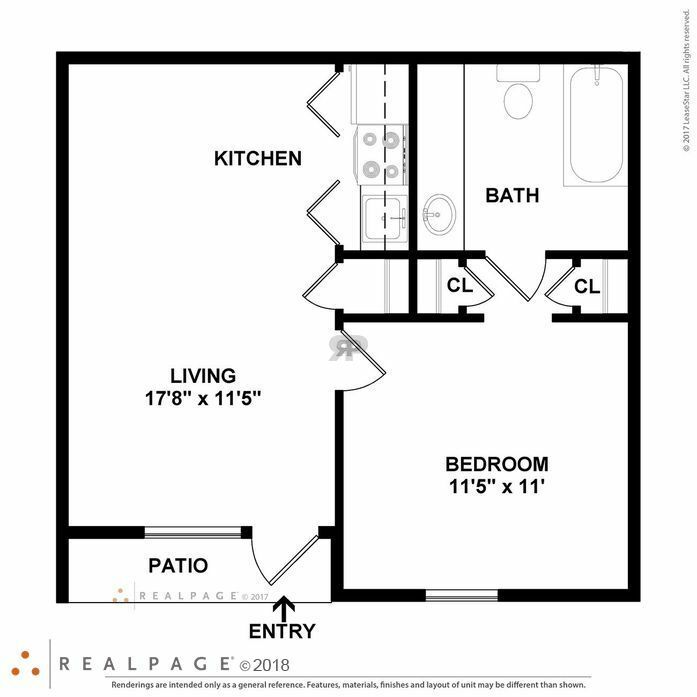 You have outdoor space on the first or second floor. 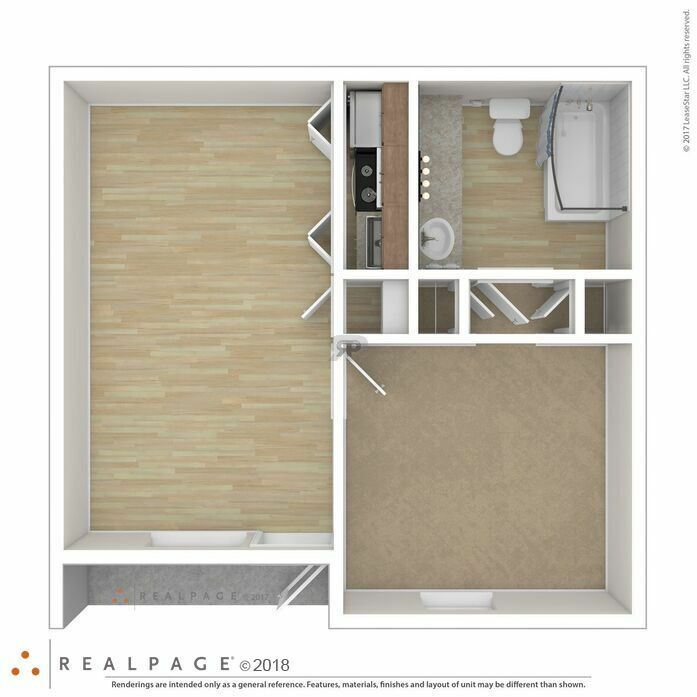 This plan is in a single story 4-plex building, featuring washer, dryer hook-ups and outside storage off the patio. 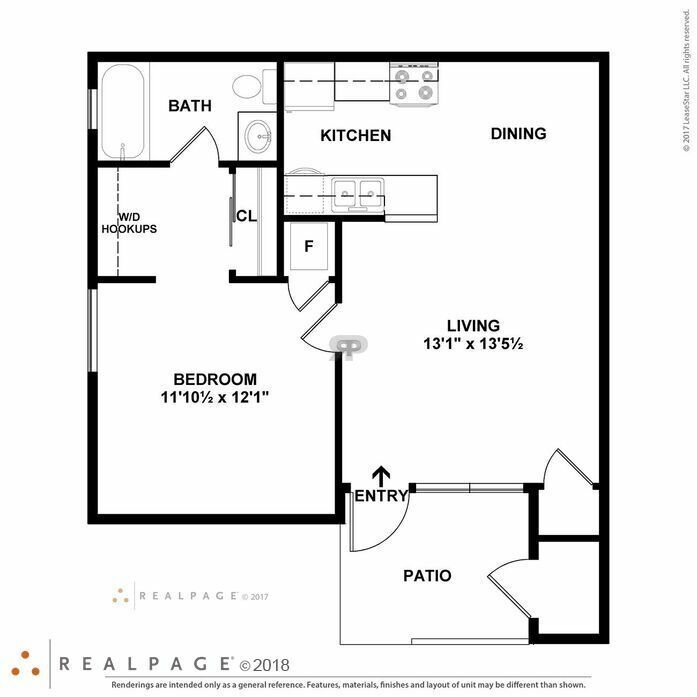 A wonderful two bedroom with a front and back door exiting to your very own patio. 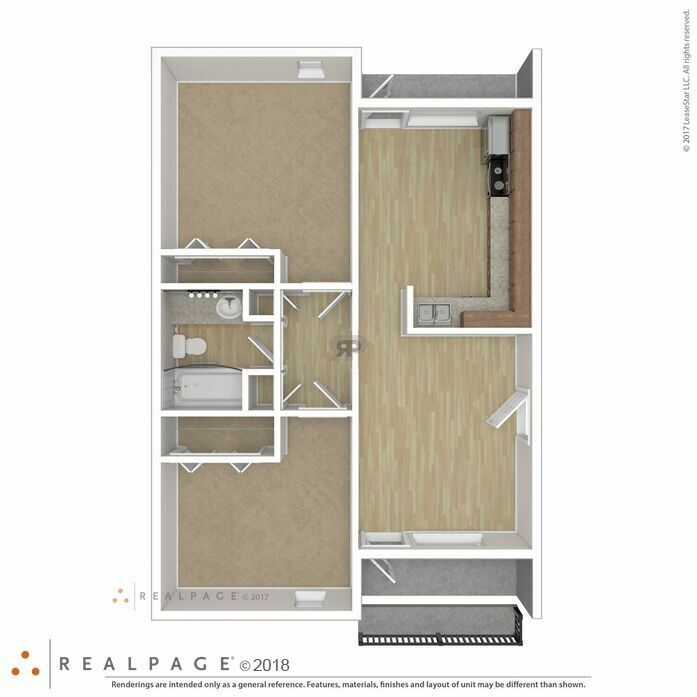 Lots of storage, and natural light, with a large country kitchen. 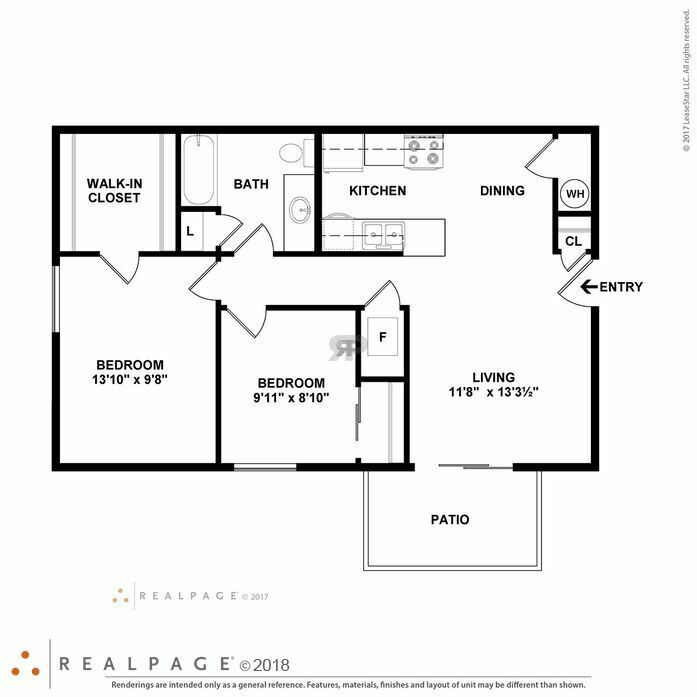 This gem has a large walk-in closet off the master bedroom, nice large bathroom, and pantry in the kitchen. 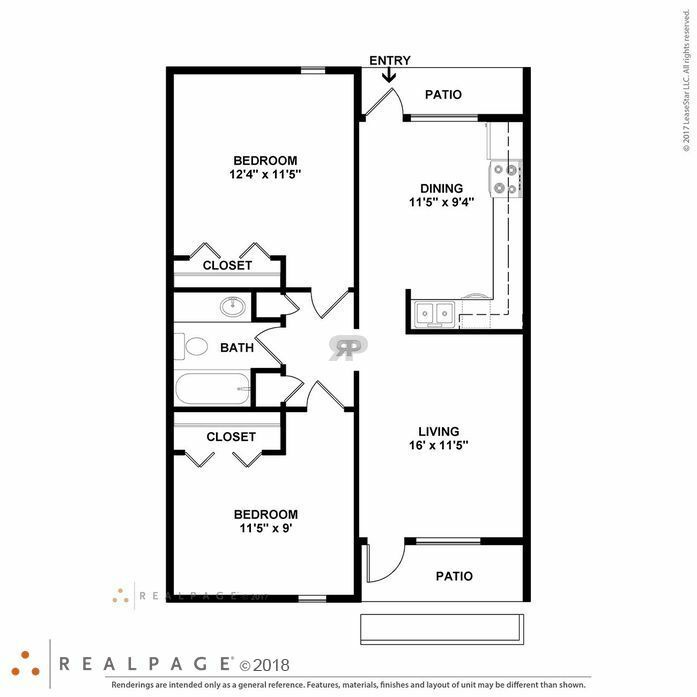 A 2 bedroom, one bath home with washer, dryer hook-ups, full kitchen and storage off the patio, a lovely set-up. 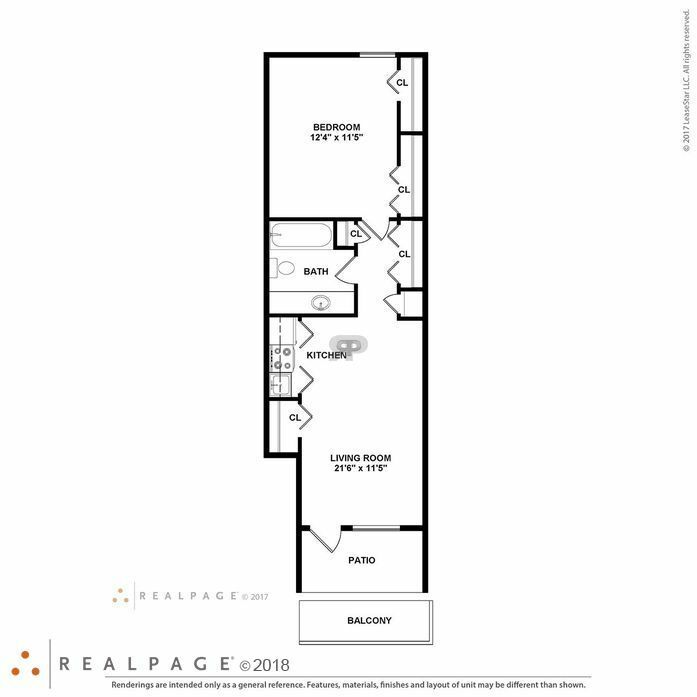 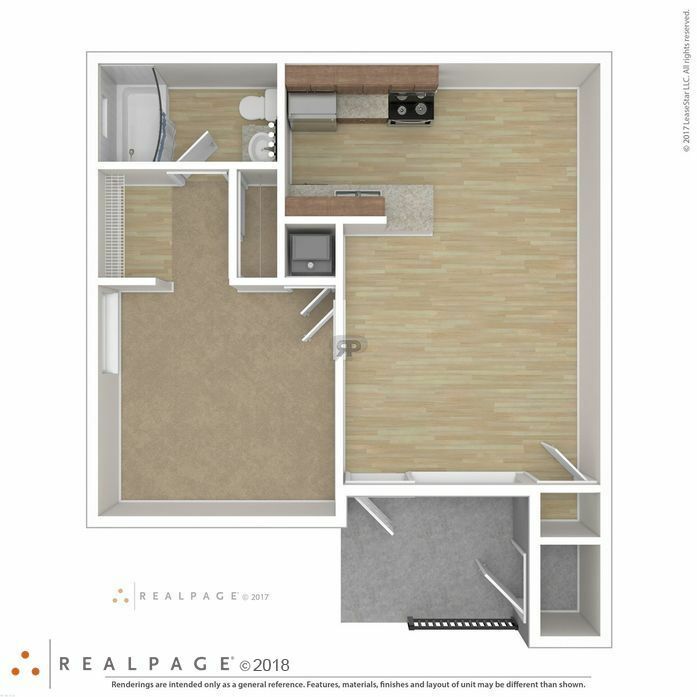 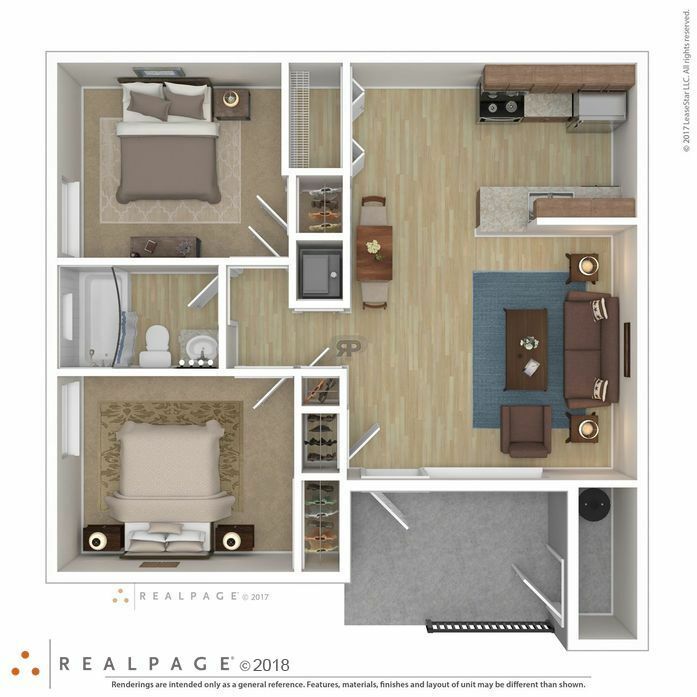 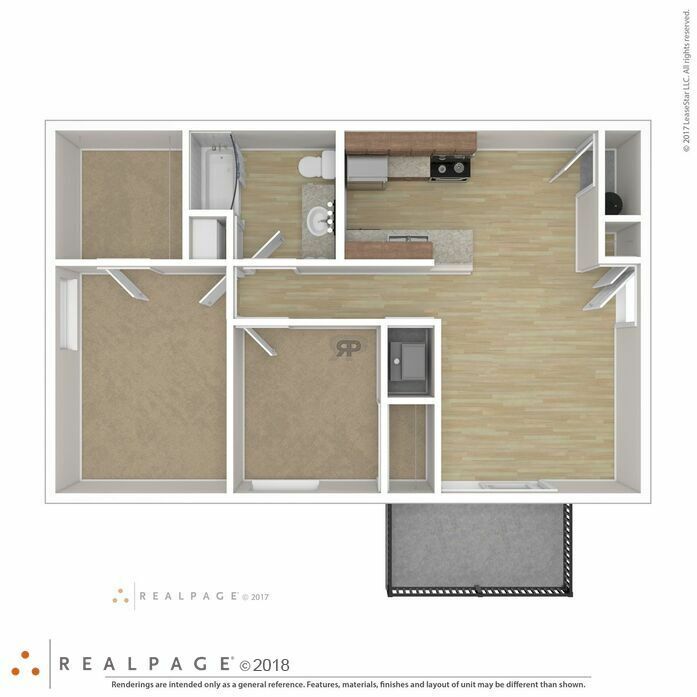 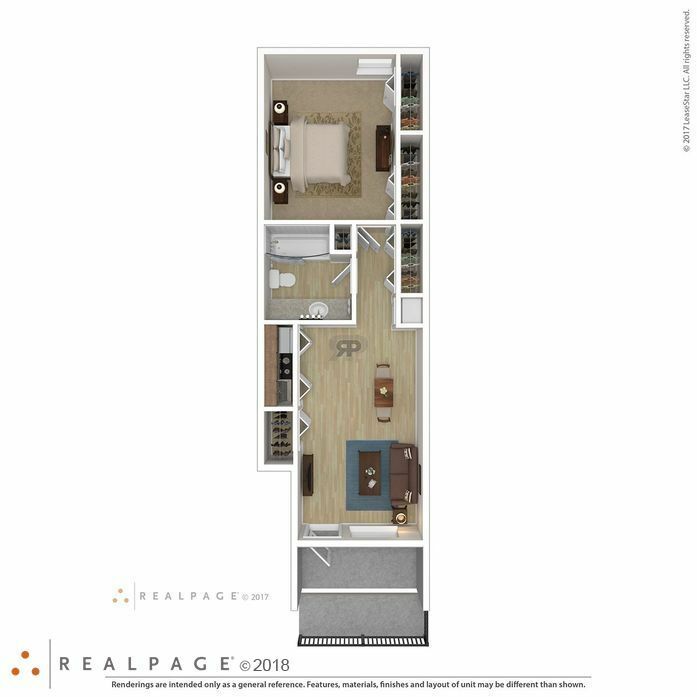 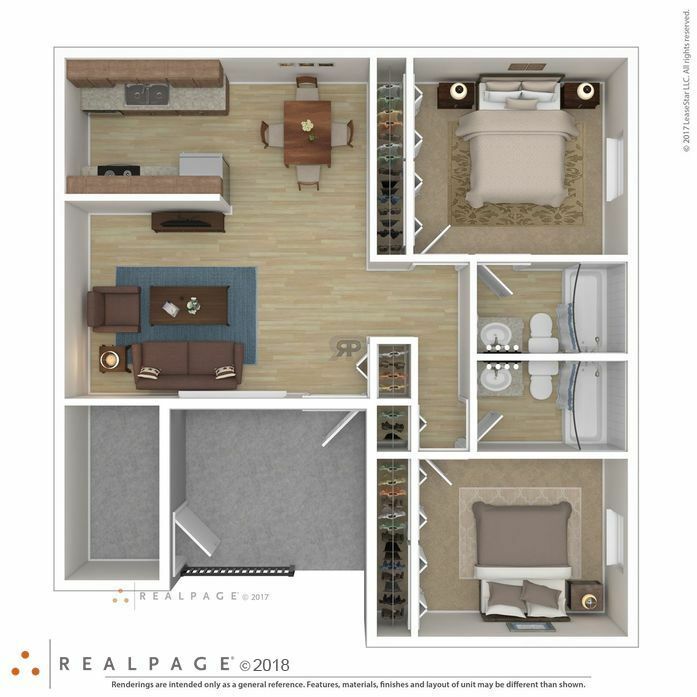 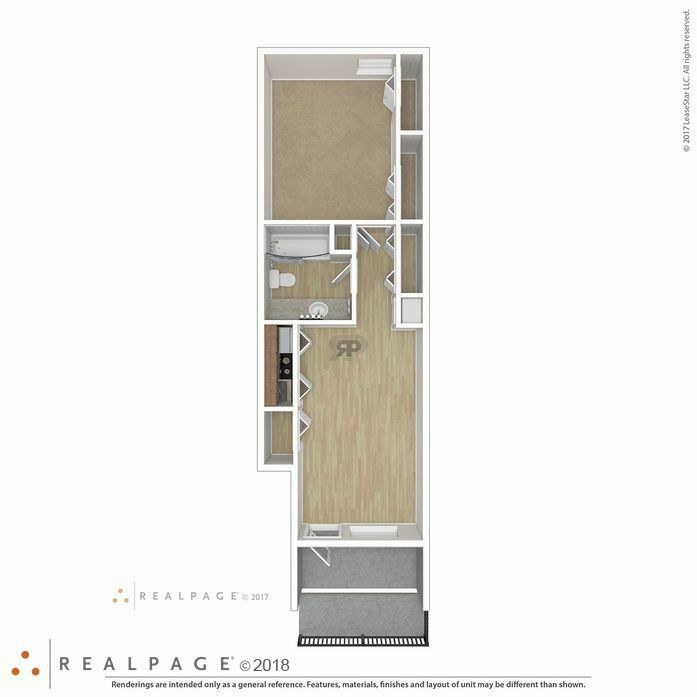 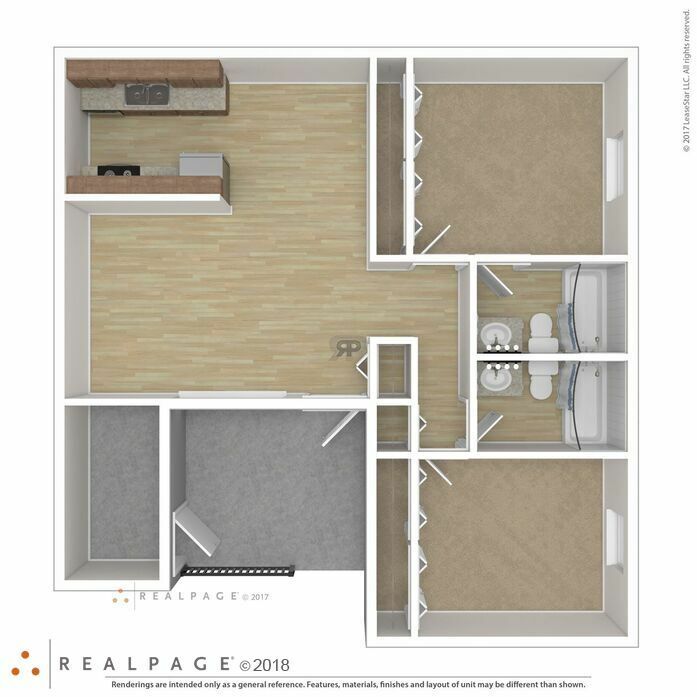 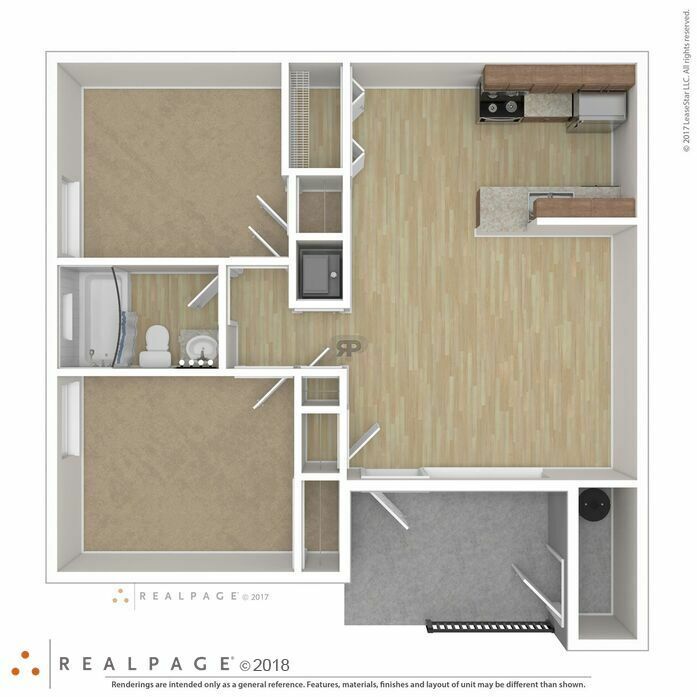 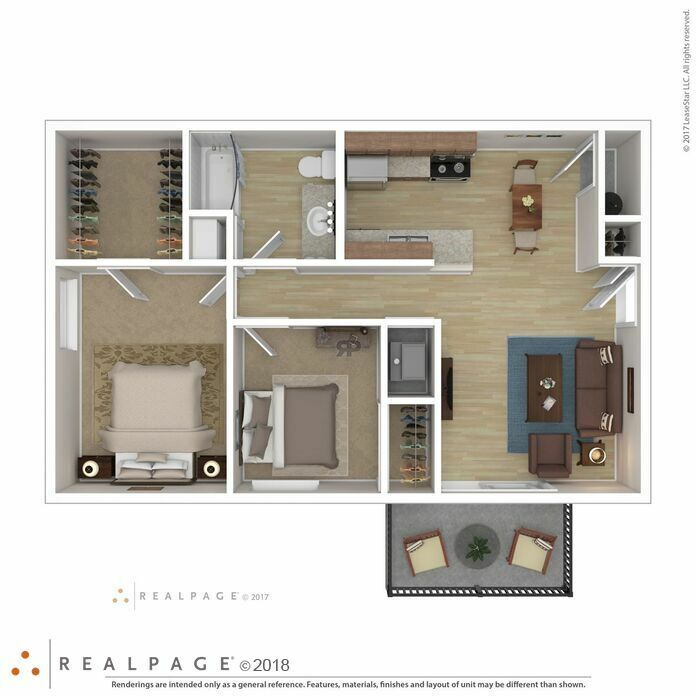 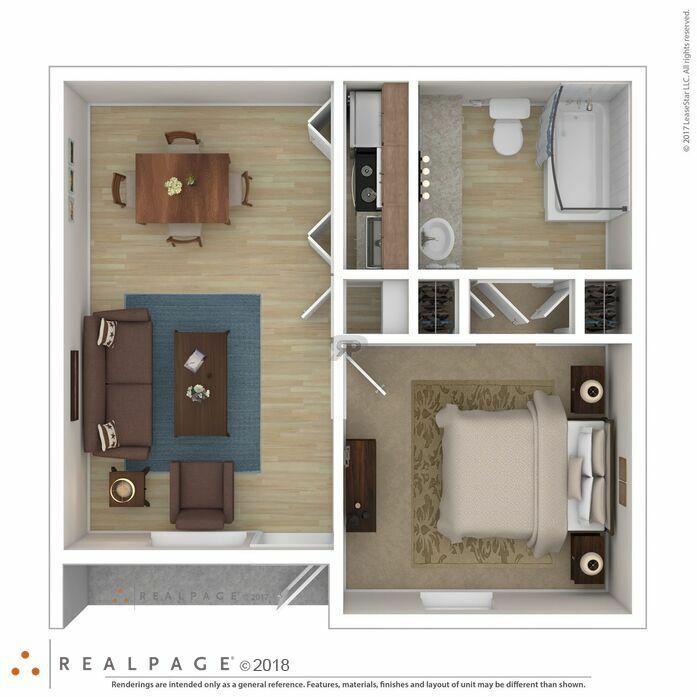 This is our largest floor plan featuring 2 bedrooms and 2 baths, large patio and storage in a single story building. 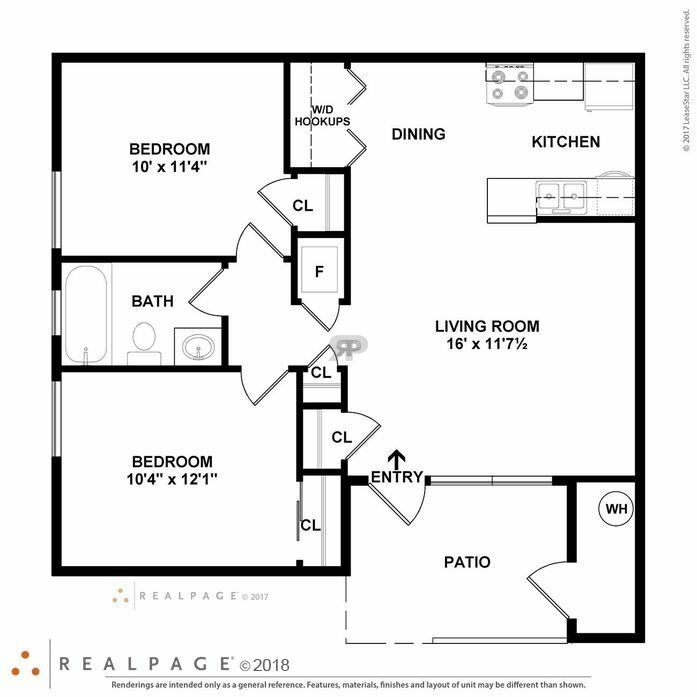 Please check out our floor plans.